The Greater Latrobe Partners in Education Foundation is deeply saddened by the passing of GLPIEF Vice-President and founding board member Ray Mt. Joy, Class of 1963 on June 2, 2017. 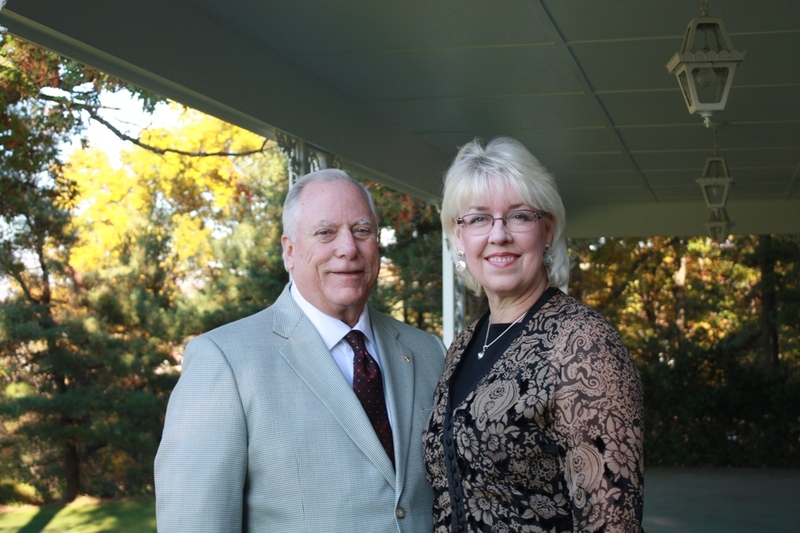 Ray and his wife Pam have been tremendous community leaders in Latrobe and in The Woodlands, TX. 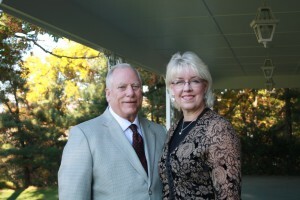 Ray and Pam co-chaired the successful $5M A+ Campaign. Ray touched many during his lifetime and he will be greatly missed. Get ready to GLOW BIGGER, BETTER, BRIGHTER! We are excited to announce that on April 29, 2017, the second annual GLOW Run, sponsored in part by the Latrobe Skating Center, will be held at the Greater Latrobe Senior High Athletic Complex to benefit the Greater Latrobe Partners in Education Foundation (GLPIEF). This fundraiser, collaboratively planned and coordinated by PTO volunteers representing all three Greater Latrobe Elementary Schools– Baggaley, Latrobe and Mountain View. 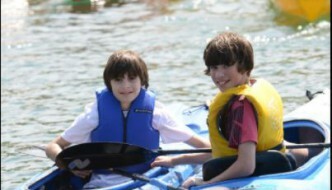 The inaugural event had over 700 participants and raised over $13,000 for the GLPIEF. Registration is $20/runner. Registration fee includes t-shirt, after party admission, and unlimited photo downloads. Great new and exciting ideas for 2017 – including FOOD TRUCKS! 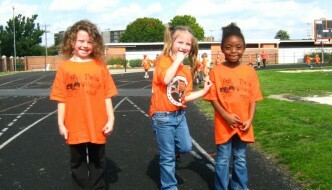 Visit http://glsdglowrun.weebly.com/ for complete information and to register! The Greater Latrobe Partners in Education Foundation (GLPIEF) is pleased to announce that the A+ Campaign led by Co-Chair’s Ray & Pam Mt. Joy, has reached its fundraising goal of $5 million in pledged contributions. 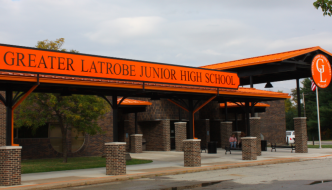 “The campaign has helped to strengthen excellence in the Academics, Arts and Athletics programs of the Greater Latrobe School District,” said Mr. Mt. Joy. He stated that the positive community response has been extremely encouraging and that he and the Board are looking forward to continuing to work with the community and alumni in future projects. The GLPIEF was formed in 2012 as an independent non-profit organization to provide philanthropic opportunities for individuals, organizations and businesses that could enhance the support of students in the Greater Latrobe School District. The major initiatives achieved by the Foundation include cutting edge technology integration in classrooms K through 12, assisting with the development of a model athletic and wellness complex at the Junior/Senior High School campus and the renovation of the Junior High School entrance and its modern creative art corridor. 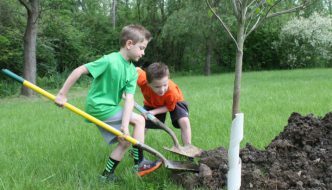 Judith A. Swigart, Superintendent of Greater Latrobe School District, is pleased that the Greater Latrobe community has recognized the important role it can play and the impact it can have in the schools through the work of the Foundation. “We are the trusted leaders for educating our young people and we take seriously the responsibility to keep pace with the needs of our community as our students compete in a highly competitive global society. We are thrilled to have and value the GLPIEF as a partner in supporting a world-class public school district for our next generation of citizens,” stated Mrs. Swigart. 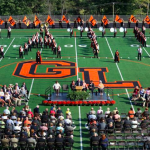 “The A+ Campaign has provided the impetus for the GLPIEF to be able to engage and encourage the Greater Latrobe community to invest in one of its greatest assets to produce well rounded proficient lifelong learners”, remarked Mrs. Urbanik. 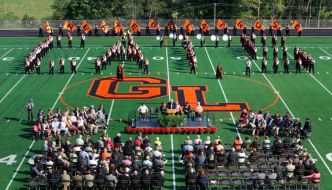 In this season of giving, GLPIEF is thankful for the community’s support of Greater Latrobe students. 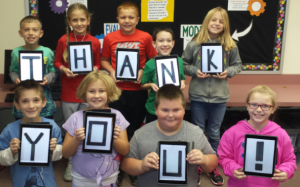 A gift to the Every Child Needs a Champion Annual Fund is an investment in the teaching and learning of 4,000 students and the future of Greater Latrobe community. Please consider giving today! 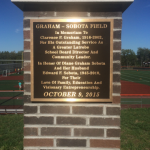 GLPIEF and the Greater Latrobe School District dedicates the all-purpose Graham-Sobota Field by the Greater Latrobe Junior High School. The field is used daily by Junior High students in physical education classes. It includes softball and baseball fields, pitching and batting/golf driving cages as well as a larger field area that allows for football, soccer, lacrosse and field hockey practices. 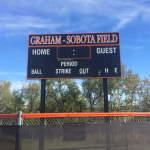 The Graham-Sobota Field was designed to accommodate as many field sports as possible and can host several teams of student athletes at once. The GLPIEF and GLSD are grateful to Diane Graham Sobota, class of 1963, for her generosity and leadership to the A+ Campaign. 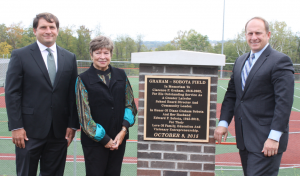 GLPIEF and GLSD are pleased to name this facility in honor of her and in memory of her late father, Clarence P. Graham, and her late husband, Edward F. Sobota. On October 9, 2015 a new scoreboard and a pillar with bronze plaque were unveiled near the field. The A+ Campaign is a major, comprehensive capital campaign seeking philanthropic support for the 3 A’s: Academics, Athletics & Arts. This campaign has pledged equal financial support in each of the three A’s. GLPIEF believes these projects are improving the lives of students, faculty and ultimately benefit the Greater Latrobe community. 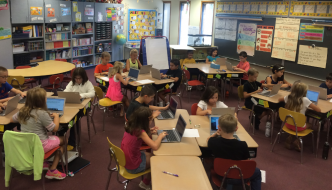 The Academics goal is to create GLOBAL classrooms throughout the School District and continue to update technology in the classroom. 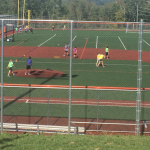 The Athletics goal assisted with the development of the facilities on the junior/senior high campus to promote health & wellness for students and the Greater Latrobe community. 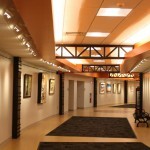 The Arts goal allowed for a Junior High School Renovation to build an Arts Corridor and improve building security. 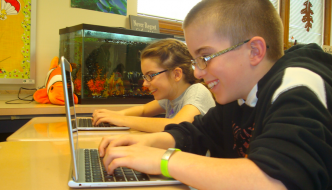 The Foundation’s mission is to ensure the highest level of educational innovation by supporting GLSD students and staff with community involvement in a partnership of lifetime learning through philanthropic and volunteer opportunities. The GLPIEF is a 501(c)(3) nonprofit organization governed by a volunteer board of directors. 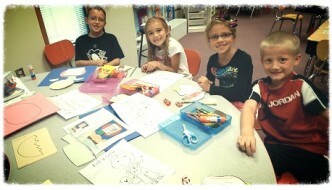 To learn more contact Jessica Golden, Director of Development, at 724-539-4220.